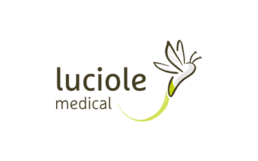 Zürich, Switzerland, September 17, 2018 – Luciole Medical AG announced today that it closed a CHF 5.3 million (EUR 4.7 million) Series A financing round. New investor SVC Ltd. (SVC Ltd. for Risk Capital for SMEs, a subsidiary of Credit Suisse), led the round with Blue Ocean Ventures, Investiere and B-to-V as co-investors with significant support from existing shareholder ZKB (Zürcher Kantonalbank). The company will use the funds to initiate commercialization of its minimally-invasive monitoring probe designed to measure blood oxygen levels in the brain, specifically for patients in intensive care units. In addition, the company will apply its platform toward the further development of its non-invasive patch that is designed to measure oxygen saturation and blood flow of brain tissue in patients undergoing surgery. Brain oxygenation and blood flow are critical for brain function. Impaired oxygenation in the brain can rapidly lead to severe consequences such as cognitive decline, speech impairment, paralysis, coma and even death. Measuring these parameters in patients and during surgery is vital for the immediate diagnosis and treatment of the patient. Luciole Medical has developed a platform of next-generation devices to monitor these parameters. The technology measures oxygenated and de-oxygenated hemoglobin content in the brain as well as cerebral blood flow, thus giving precious information on tissue metabolism and brain function. The company has received the CE mark in 2016 for its minimally invasive probe for use in comatose patients following stroke or traumatic brain injury. Luciole Medical’s second product, a non-invasive patch, is currently under development and will be used in anesthesia and in other conditions where the brain may be exposed to desaturation.